List of Inter-regional Transfer and posting of Asstt. 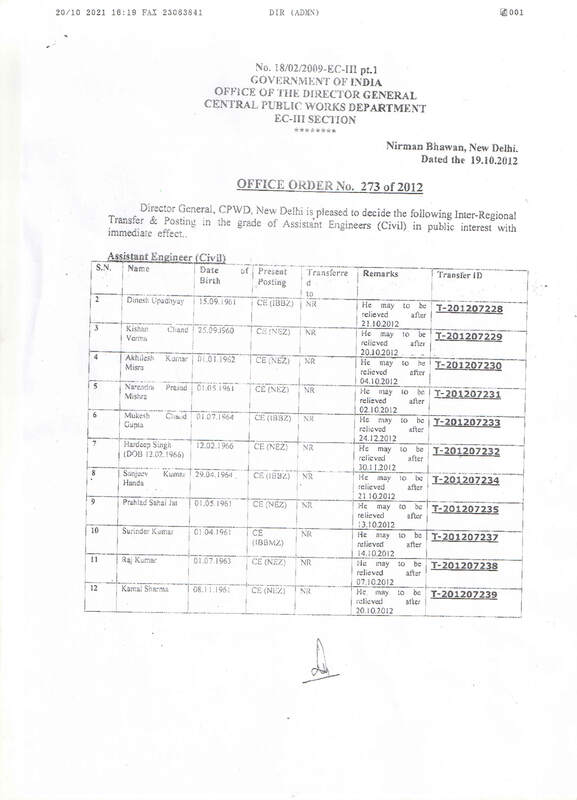 Engineer (Civil) issued by DG on dated 19-10-2012. 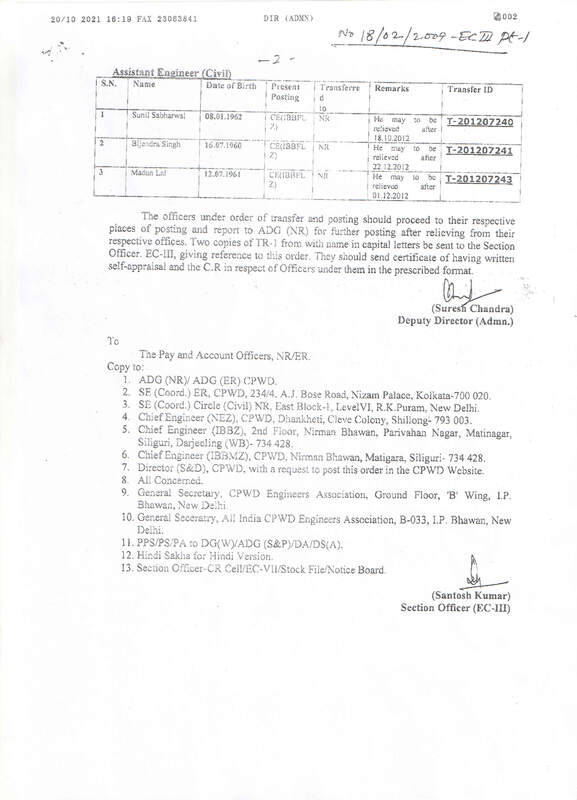 The Gazette notification of Recruitment Rule of EE(E)and EE (civil) has been published by MOUD on 17th October 2012. (available in CPWDEA useful Downloads our website-–(GO To Downloads Page)).